As Baby Boomers age into retirement by the millions each year, their growing health care needs require more people to administer that care. That makes fields such as nursing one of the fastest-growing occupations, and hospitals are hiring now to prepare for what's to come. Central Florida Health Alliance has 140 to 170 open positions a week, and almost 90% of them are for jobs that include registered nurses, pharmacists, physical therapists and pharmacy technicians, says Holly Kolozsvary, human resources director. The two-hospital system based in Leesburg and The Villages is hiring for its peak season from January to April, when many retirees seek winter refuge in the Florida sun. 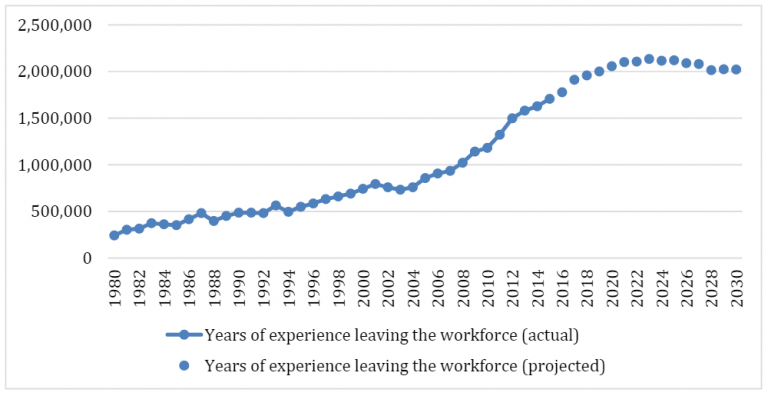 But it's also managing a trend that requires it to employ more people year-round: More retirees aren't leaving at the end of spring, Kolozsvary says. "It's kind of a domino effect," she says. "They move here, they're well, they get sick, they're left here through their cancer or heart disease, and we have to take care of them." Job postings on Monster.com for positions including registered nurses, physical therapists and physician assistants rose 13% from June 2011 through June 2012, according to a 2012 health occupational report by the job site. 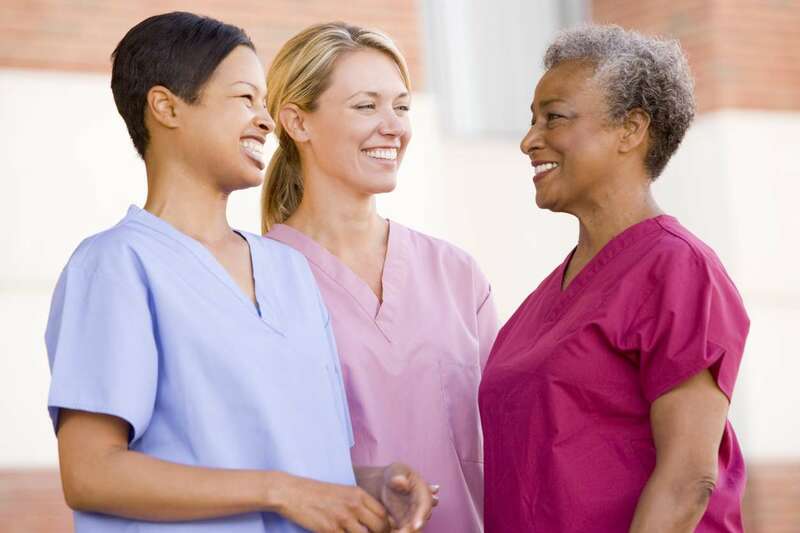 The additional demand could be due partly to hospitals preparing for the retirements of many older nurses as the economy gets better, increasing the need for new skilled workers. Scripps Health, a group of five hospitals and 23 outpatient facilities in San Diego, plans to hire about 400 nurses a year over the next three years but might need to increase that by 200 annually because of retirements, says Vic Buzachero, senior vice president for human resources. About 30% of the hospitals' nurses are older than 50. Jamie Malneritch applied for a part-time job as a registered nurse with Scripps in March and heard from the hospital the same day she submitted her application. She started working a month later. The 31-year-old, who has worked as a nurse for four years, says the job security and growth opportunities were primary drivers in her decision to go to nursing school in 2006. "It seems like we always need more hands," she says. "Nursing is flourishing." With an average salary of $64,690 a year, according to 2010 data from the Bureau of Labor Statistics, registered nursing may be the more desired profession, but lower-paid home health aides are actually in higher demand. An industry shift that puts more emphasis on outpatient care and home health services makes home health and personal care aides two of the fastest-growing occupations in the country. Employment in both positions, which have an average salary of about $20,000 a year, is expected to grow by about 70% by 2020, BLS data show. Registered nursing is expected to grow 26%. ResCare HomeCare, a national provider and employer of home health and personal care aides, who work primarily with seniors with chronic illnesses or disabilities, has received 32,000 applications this year, a 23.3% jump from last year, and it hired 6,000 of the people who applied, about 5% more than in 2011, says Shelle Womble, senior director of sales. Home health and personal care aides are generally the same, providing services such as checking vitals, prepping meals and bathing and grooming the patient. But home health aides are funded by Medicare and, in some states, require more training, while personal care aides are funded privately and may require less training, Womble says. ResCare, where aides make $22,000 to $30,000 a year, is anticipating the need for more workers in the near future. "Right now, one of our key positions is that we are hiring the talent before we even get the clients so we can be prepared and have the staff available," Womble says of home health and personal care aides. "There's a lot more competition for that type of employee."